Black Friday has long been billed the best shopping day of the year, with deals that aren’t seen any other time of the year. This is followed closely by Cyber Monday, a day when online deals are supposed to be at their best. The emergence of price monitoring software in recent years has revealed that those deals might be more myth than reality. In fact, some retailers may be taking advantage of all of the publicity to draw customers in and sell items at higher prices. Research on major retailers found that some actually raise their prices on either Black Friday, Cyber Monday, or both. The Roku 3 Streaming Media Player currently sells on Amazon for $77.99, but on both Black Friday and Cyber Monday, the device sold for $84.99. Vanguard binoculars also saw a price drop after Amazon’s big Cyber Monday event, dropping from $238.99 to $227.99 on December 7. These are just two of many products that saw price drops as December progressed. Instead of blindly following ads, consumers now have access to the best tools available for monitoring prices. By monitoring prices and setting alerts for price changes, consumers can wait until costs go down. It’s always a gamble, but from what market analysts have seen in recent years, Black Friday and Cyber Monday deals are gambles for consumers as well. Aside from the dramatic “doorbuster deals” available at 5 a.m. on Black Friday in retail stores, many of the prices customers will find on those two days aren’t the best they will be during the holiday season – and customers now know that. Retailers can no longer rely on the “hype” surrounding Black Friday and Cyber Monday to lure in shoppers to purchase deals that aren’t deals at all. Instead, they have to contend with educated consumers who will just as easily purchase from competitors if the deal isn’t a real deal. Of course, the longer shopping season is an excellent opportunity for retailers. An increase in educated consumers means that customers won’t be as easily lured to your big-box competitors. They will shop around for a real deal, and if you can be transparent in offering competitive pricing, you have an opportunity to reel in many new customers. 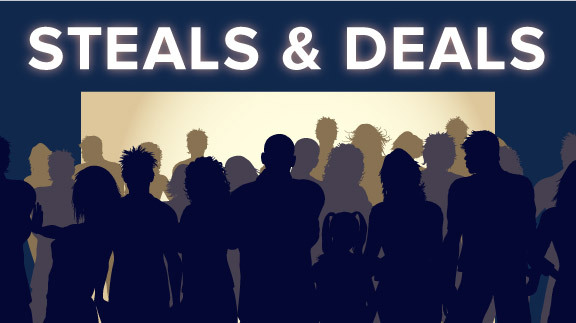 The holiday season brings out the deal-finder in any customer. By offering real deals throughout the holiday season, and ensuring that their pricing remains competitive throughout, retailers can gain a exponentially in sales and customer trust.